The European parliament’s civil liberties committee has called for an end to the “vast, systematic and indiscriminate” collection of personal data by UK and US intelligence agencies. Conducting the first parliamentary inquiry into the revelations by whistleblower Edward Snowden (pictured), the committee said the activities of the US National Security Agency and the UK’s GCHQ appear to be illegal. 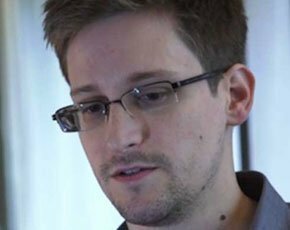 The committee plans to hear testimony from Snowden via a video-link to Russia, despite opposition from US congressmen, according to the Guardian. While 36 committee members voted to hear Snowden, only two, both UK Conservative Party members, voted against. "Snowden has endangered lives. Inviting him at all is a highly irresponsible act by an inquiry that has had little interest in finding out facts and ensuring a balanced approach to this delicate issue," said Timothy Kirkhope. But the Liberal Democrat committee member Sarah Ludford said that to ignore Snowden was absurd. “The issue of whether the intelligence services are out of control merits serious examination in Europe as in the US. “The Tories' ostrich-like denial is completely out of step with mainstream opinion in both continents. But their line is consistent with the obdurate refusal of Conservatives at Westminster to clarify and strengthen safeguards on snooping by GCHQ,” she said. According to the inquiry’s draft report, western intelligence agencies have been involved in spying on "an unprecedented scale and in an indiscriminate and non-suspicion-based manner". It is "very doubtful" that the collection of so much information is guided only by the fight against terrorism, says the draft, which questions the "legality, necessity and proportionality of the programmes". Calls on the US authorities and EU states to prohibit blanket mass surveillance activities and bulk processing of personal data. Claims mass surveillance has potentially severe effects on the freedom of the press, as well as a significant potential for abuse of information gathered against political opponents. Calls on the UK, Germany, France, Sweden and the Netherlands revise laws governing the activities of intelligence services to ensure they are in line with the European convention on human rights. Calls on the US to revise its own laws to bring them into line with international law, so they "recognise the privacy and other rights of EU citizens". Calls for the halt of all data transfers under the Safe Harbor agreement until companies can show they have taken the all necessary steps to protect privacy. Calls on the European commission to present by this time next year an EU strategy for democratic governance of the internet. Although the draft report adds to the growing criticism of intelligence abuses, the Guardian notes that the report it still has to be voted on by the chamber, has no legal force and does not compel further action.